Sound & Recording Magazine (Japanese Edition) is looking for the sequel to async! The May and June issues of Sound & Recording Magazine (Japanese Edition) published extensive interviews with Ryuichi Sakamoto in which he discussed his new album, async, in great detail. 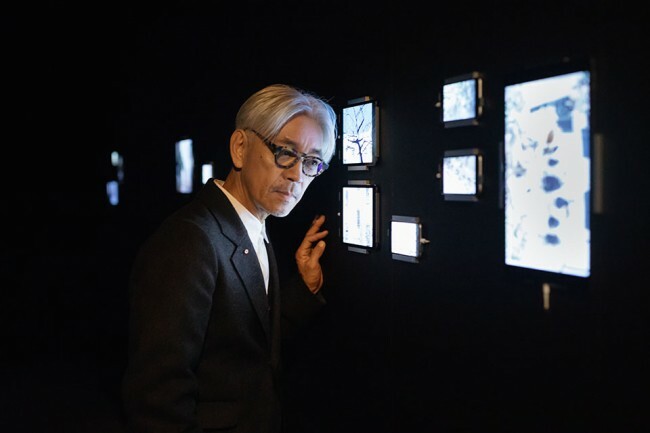 Accompanying the Japan release of async, the Watari Museum of Contemporary Art began exhibiting Ryuichi Sakamoto | async - sound installation in collaboration with visual artists Shiro Takatani, Zakkubalan, and Apichatpong Weerasethakul. The organizers are planning a touring exhibition, the first of which is planned to be exhibited at NTT InterCommunication Center in Tokyo in December 2017. Sound & Recording Magazine (Japanese Edition) has put out a call for entries for async II, to accompany Sakamoto’s 5.1ch installation of async. We look forward to hearing the submissions! Submission Guidelines: Please submit an original, unreleased composition of up to 5 minutes in length. You must retain all rights to all of the audio materials used in the composition. Submission Format: Please send us a DVD-R that includes 6 Mono WAV files with filenames according to the corresponding channel in the 5.1ch mix (e.g. async_L.wav, async_R.wav, async_C.wav, async_LFE.wav, async_SL.wav, async_SR.wav). Though the quantization bitrate and sampling rate do not matter, we may convert the files according to the playback environment. How to Submit: Please send a DVD-R containing the files to the address below. If the disc is unplayable due to damage during transit, the submission will unfortunately be disqualified, so please package submissions with care. Please label the title of the piece, name of submitter, and e-mail address on the disc itself. Sound & Recording Magazine at Ritto Music, Inc.
**Submissions are only accepted via mail and will not be returned. Key Dates: The DVD-R must arrive by June 30th, 2017. Winners will be announced in December, 2017.